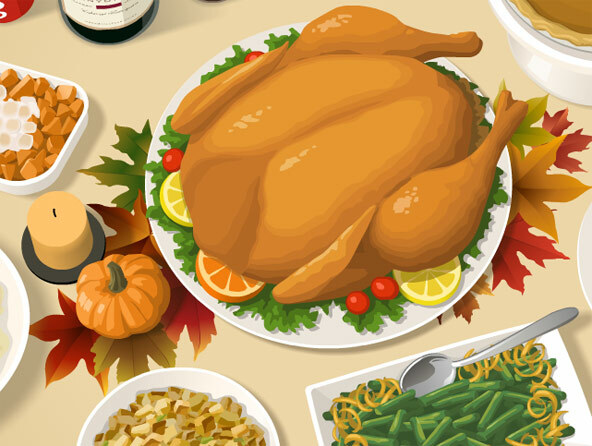 Holiday Meal Calorie Counter – Flash for Healthways Inc. 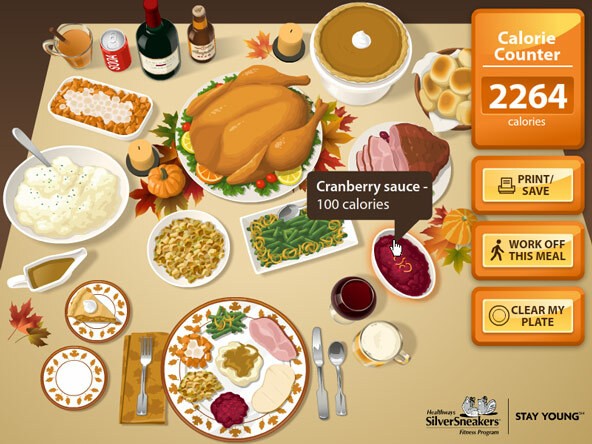 This is an interactive piece for Healthway's SilverSneakers program that lets the user discover the surprising amount of calories they might consume during a typical holiday meal. After making their plate and seeing the total, the user picks from various exercises to find out what they need to do to work off all that food. The art was created in Illustrator and brought into Flash where the functionality was added. A programmer helped with the ActionScript on this. 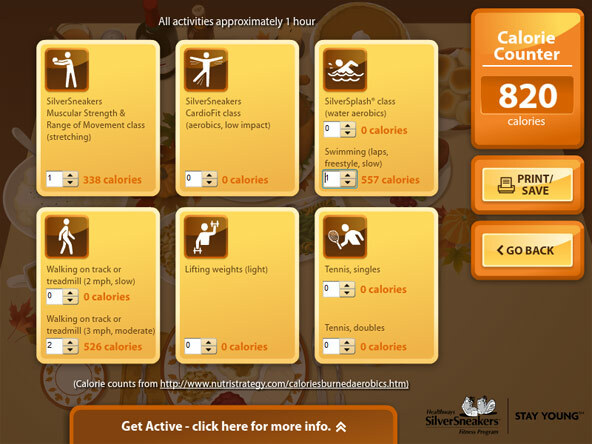 You can experience it here: SilverSneakers Holiday Meal.